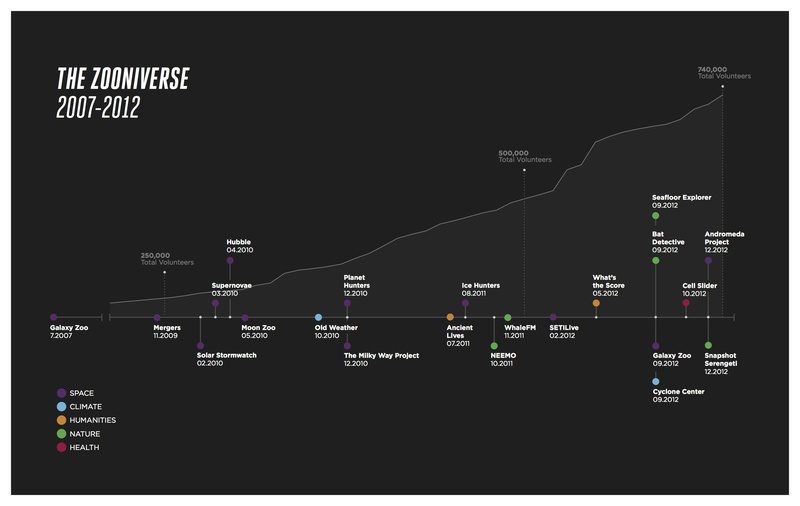 The Zooniverse community keeps growing. This time last year, we passed 500,000 volunteers – and now there’s nearly 740,000 people out there, clicking, classifying and contributing to science via their web browser. To celebrate we’ve produced a great poster showing how the Zooniverse has grown from 2007 to the present. Down the PDF here. How many people is 740,000? Almost 20,000 more than the population of Alaska, or 0.24% of the United States population. The Zooniverse is enabling a lot of good research with just a handful of people. Think of how much more they could do with more people. Then pick out a project or two and start contributing!